Savvy sports organizations, including the Los Angeles Dodgers and Cleveland Cavaliers, increasingly look to the startup community for technologies that can enhance the fan experience and improve business operations, on and off the field. Technology companies and other big businesses aren't the only ones tapping into the startup community for technological advantages. Sports organizations are partnering with startups, too, inviting them to consortiums and pitch competitions, and signing them for big technology projects. These partnerships can be mutually beneficial, and they demonstrate how technology drives the future agendas of powerful sports leagues and teams. Sports organizations are stocked with talented athletes, smart coaches and statistics wizards, but many franchises still have small, limited IT departments, which could be why some look to startups for what's next in the technology world. Many leagues and teams push for more technology on both sides of the spectrum: for players and for the business. These organizations see clear potential in using technology to collect and analyze new statistics for competitive advantage on the field, and to engage fans and improve the customer experience at games and in their homes. "I firmly believe we're in the era today where sports teams are media and technology companies at their core," says Ben Shields, a lecturer in managerial communication at the MIT Sloan School of Management and author of The Sports Strategist: Developing Leaders for a High-Performance Industry and The Elusive Fan: Reinventing Sports in a Crowded Marketplace. "Partnering with startups in accelerator programs or one-off arrangements provides teams with potentially valuable sources of innovation that they may not be able to develop internally," Shields says. The Los Angeles Dodgers Accelerator program, an initiative in which startups apply to receive funding and support for their technology products, is the most prominent example of a sports organization leveraging startups. The Dodgers are working with R/GA, an advertising agency that runs its own accelerator programs, on the three-month project, and it accepted applications from interested startups through the end of June. The Dodgers selected 10 companies for the program, which officially began on August 24. The Dodgers wanted companies with products that have the right balance of sports, technology, entertainment and media. The finalists include a mobile-ordering and POS system, a social network for sports recruiters, a daily fantasy sports analytics platform and a connected health software system. Similar to Coca-Cola's Bridge Program, the startups get three months to develop their products. Each receive $120,000 in funding; access to more than 80 mentors from the Dodgers, R/GA, and their networks; and the use of co-working space in L.A. On November 10, or "Demo Day," the startups must be ready to pitch final products. A program of this size and scale, if it succeeds, sets a great example for other sports organizations hoping to work with high-potential startups, according to Mark Fidelman, founder of Fanzeal, a social network for athletes, teams and fans, and author of Socialized! : How the Most Successful Businesses Harness the Power of Social. "It's a wonderful way for an organization to get closer to the tech community. 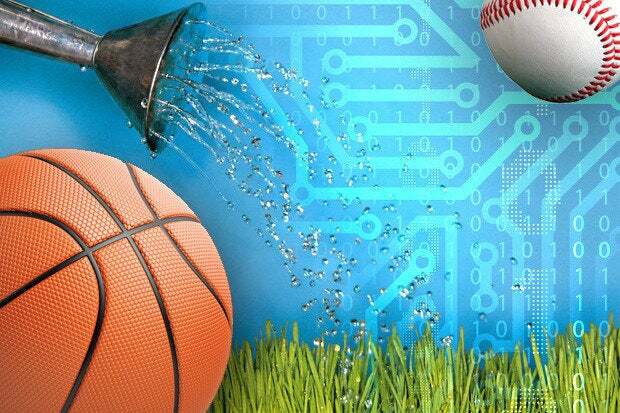 Technology is starting to permeate every part of life, and sports is a bit behind. This is one way for them to play catch up." However, Fidelman says that it will be interesting to see what the Dodgers do once the program is over. "Let's say you have a company that has products that can help the Dodgers with ticket sales," he says. "How committed are they to piloting those technologies, and what does that do for the rest of the teams in the league?" The level of support startups will receive after the program ends is also unclear, he says. On a smaller scale, it's easy to find examples of sports organizations that work with one or two startups, instead of running a formal incubation program. For example, the National Basketball Association's (NBA) Cleveland Cavaliers just created its CavsEats mobile app with startup Tap.in2. The app lets fans order food, drinks and merchandise, which are then delivered to their seats during games. Some risk exists when organizations work with unproven startups and entrepreneurs, according to Shields., but dedicating R&D funds to startups can be a cheaper way to reap benefits than establishing a formal business deal or acquiring an entire technology company, he says. The programs are also good PR for sports organizations, according to Fidelman. Of the Dodgers Accelerator program, he says, "I'm hoping they're doing it to get more exposure to technology that will help … sell tickets and promote the Dodgers and the sport. It will also help if they really want to give back to the community and show that they are good citizens by investing in startups that could turn into bigger companies." For the startups, partnering with sports organization is a no-brainer. Unless a company is about to be acquired or just landed a huge round of funding, teaming up with a sports organization or applying for a pitch competition can help in many ways. "The startups are given a platform to prove their worth," Shields says. "In that quid pro quo relationship, if the idea is there — and that's a big if — it can be beneficial to both parties."